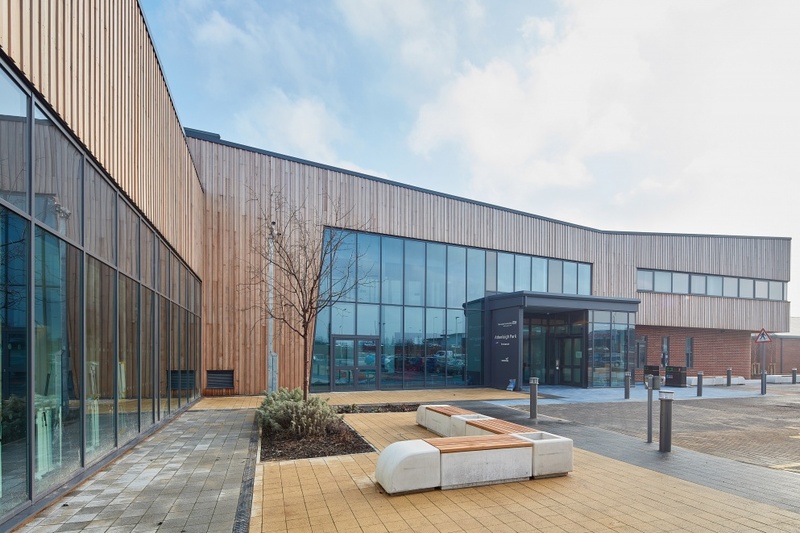 Kawneer’s healthcare windows and curtain walling feature at Atherleigh Park. 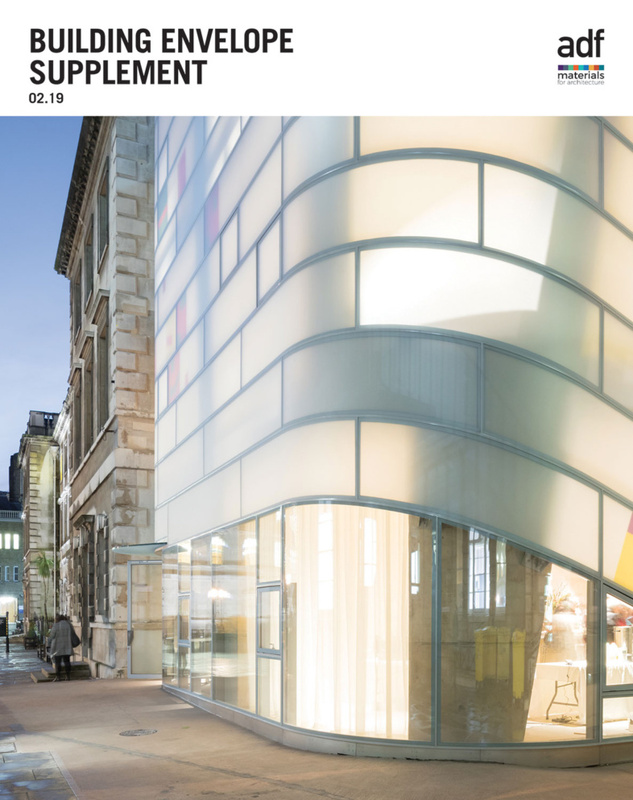 Kawneer’s AA®3110HW windows maximise ventilation while minimising the risk of self harming. They feature anti-ligature elements such as a wraparound gasket that breaks into harmless pieces when there is an attempt to remove it, together with a drive mechanism for opening the window that cannot be used as a ligature point. At Atherleigh Park hospital in Leigh, Wigan, the windows were installed alongside Kawneer’s AA®100 zone-drained curtain walling and AA®543 tilturn and AA®541 top-hung casement windows by Polar (NE) Ltd. 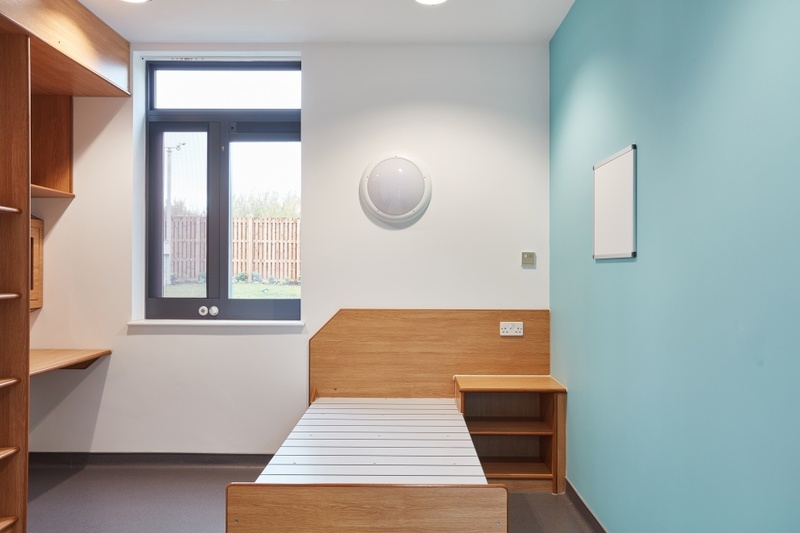 The AA®3110HW window used at Atherleigh Park was enhanced by Polar for use in this project – a medium-secure mental health facility. The fabricator designed special extrusions (which Kawneer have now developed from Polar’s designs), a reduced ligature drive mechanism for opening the window and a unique removable security mesh. 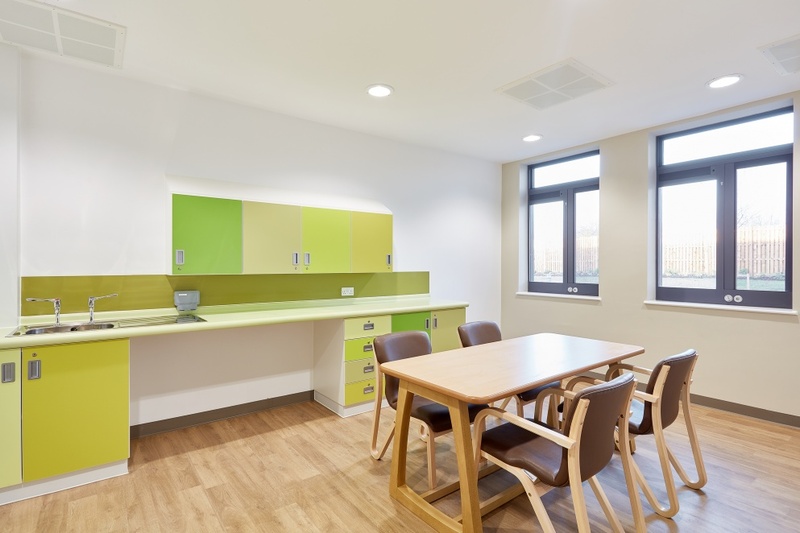 Built by Kier Construction on the former Leigh East Amateur Rugby League ground, the 3.9-hectare site provides high-quality inpatient services for adults with mental health problems and patients with dementia and memory loss conditions. Specifically, it provides 100 per cent single-bed with en-suite occupancy comprising 40 adult acute beds over two wards and the eight-bed PICU complete with public access entrance building and ancillary accommodation. Providing a healthy environment for patients was one of the main priorities of the project. 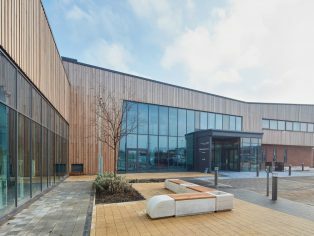 The hospital’s facilities include a sports hall, gym, outdoor courtyards, therapy rooms, landscaped gardens, a nature trail and a cafe for patients, visitors, staff and the general public. North West Boroughs Healthcare’s project manager Paul Jackson won a design champion award at the Design in Mental Health Awards 2017 for his part in the project. For a virtual tour of Atherleigh Park, go to: www.nwbh.nhs.uk/atherleigh-park.